Nagpur: COSMAGEN, established by Mr. Rajatkumar Dani, a non-profit organization in a view to accomplish its vision “Generation of Cosmonautics”. 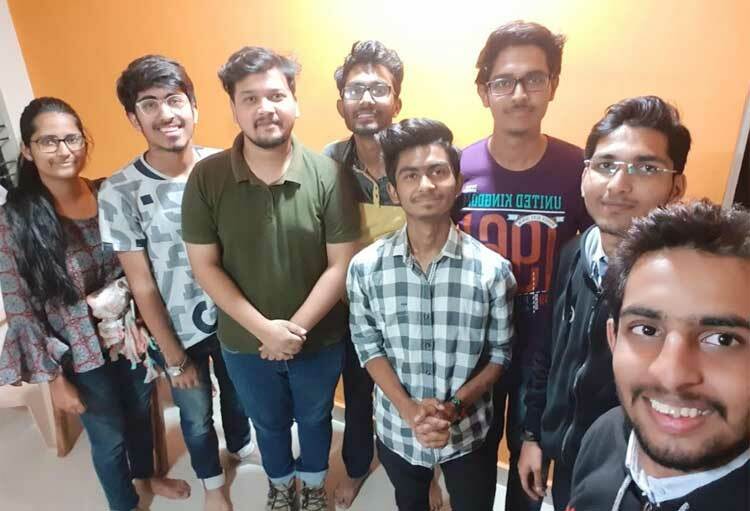 In a step further to achieve its vision the team for Maharashtra was set up on 5th February 2019 at COSMAGEN, Nagpur office. Rajatkumar from Bhiwapur close Nagpur, has dependably been keen on Universe however got tangled in the stale instruction framework and score-driven investigations. To break this dreary framework and to break the hindrances in instruction, he established ‘Cosmagen Space Organization’. The team members are President- Mr. Atharva Hampiholi, Vice-president- Mr. Yash Kanhed, Social Media Head- Mr. Prajwal Chandak, Editorial Team Head- Mr. Akshay Suryawanshi. Volunteer Team Head- Mr. Deepak Khairwa, Human Resource Manager: Ritik Mazumdar. Social Awareness Head: Sunayana Khurana, for the COSMAGEN, EduOM and The Dani Group. The following team will handle all upcoming events, projects coming under these three companies. The first meeting of the team discussed the upcoming projects of COSMAGEN. A planning was laid out for an upcoming event of EduOM. About Rajatkumar Dani- Youngest PADMASHRI NOMINEE, Managing Director and Founder of Cosmagen. Chairman and Founder of The Dani GroupsProject head of EduOM. A project partner company of SOLV-I (Sub-orbital launching Vehicle – Impact ) launched in 2019 with world’s smallest satellite in 2019.